Feeling cranky after oversleeping on a beautiful Sunday morning? 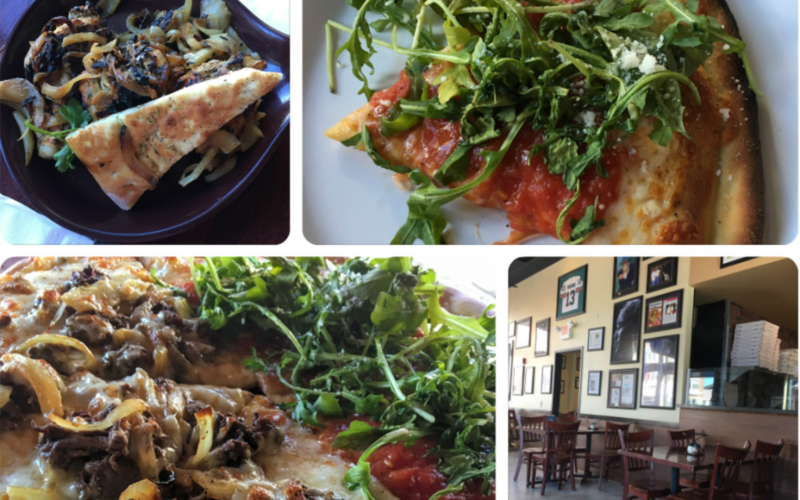 Looking for a great place to unwind and chat with friends and family? Tired of waiting as the minutes slowly tick by for only a bite-sized meal? 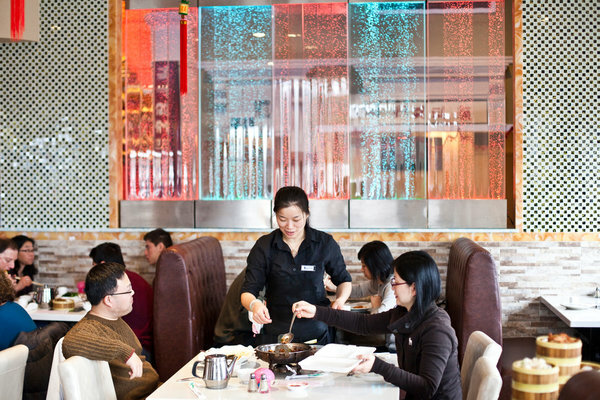 Look no further than the dim sum at Chengdu 1 Palace in Green Brook Township. 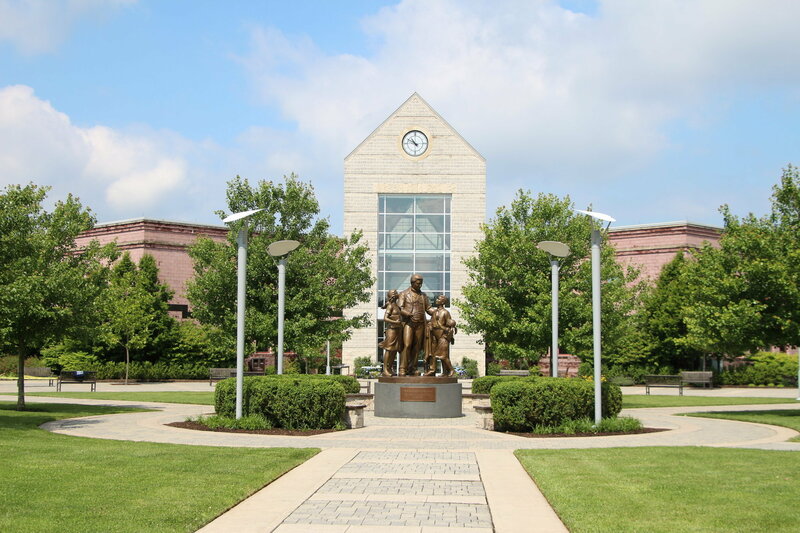 When I first moved to Warren a couple of years ago and saw the sprawling lawns and open land, I was worried that there would be no spark of life in a town sheltered by towering trees. What’s more, I worried that there would be very few authentic Chinese restaurants in an area without a large Chinese community. Soon, however, I discovered the yellow brick road — Route 22 — and its emerald castle — Chengdu 1 Palace. My family no longer had to drive forty minutes or more to Edison or Parsippany, where Asian communities have cultivated several landmark restaurants, to experience the hustle of dim sum. Having tasted traditional dim sum in China, my family had high expectations for Chengdu 1 Palace. Dim sum needs to be an experience. You have to feel the rush of the moment as carts rustle past, loaded with plate upon plate of dumplings and rice noodles and servers advertising their cargo with competing cries. You have to be bold to try all kinds of food, and, yes, that includes the chicken feet and beef tripe. Only when your table is full of plates and awash with the scent of freshly steamed buns and porridge can you truly appreciate the majestic quality of dim sum as a satisfying meal. Chengdu 1 Palace passed these expectations with flying colors. My personal favorite, the jiu cai bao, or chive dumplings, had the right amount of crunch and texture along with a strong scent of chives that filled the air. My little brother could not get enough of the tangy sauce covering the pai gu, or steamed ribs, and my parents loved the wide selection of foods to choose from, covering not only the traditional Hong Kong-style foods associated with dim sum but also other regional specialties like ma la liang fen, cold and spicy jelly cubes. Although the boba tea was not the best, the bulk of the meal, whether it be the tender cheong fan rolled rice noodles with shrimp or the sweet red bean filled zhi ma qiu, or sesame balls, was outstanding. What’s more, Chengdu 1 Palace is operated by a great staff who is always ready to help. While there are few vegetarian options for dim sum, you also have the opportunity to order off of the dinner menu. Whether you have yet to be introduced to the wonders of dim sum or are already a seasoned foodie, having dim sum at Chengdu 1 Palace is a great experience, especially considering that it is local and truly delivers an authentic dim sum meal. Indeed, dim sum may help you reach new frontiers in your connoisseur career of culinary excellence as you nibble on the stomach of a cow, or it will satisfy your sweet tooth with light, airy desserts. Either way, the servers and waiters are eager to help you embark on your journey, and maybe even help you learn a little bit about Chinese culture along the way. In a world populated with takeout boxes of orange chicken and fried rice from Panda Express, Chengdu 1 Palace offers a haven for traditional Chinese cuisine to continue to thrive in the modern suburbia. The next time you feel lost, follow Route 22 and open the gates to the Chengdu 1 Palace for a culinary experience of a lifetime. V Yan Hot Pot: one of the joys of living anywhere near Parsippany, where this recently opened hot pot restaurant is located. For anyone searching for authentic Chinese hot pot, a great deal, and a fun group meal, I would highly recommend visiting this local gem located only thirty minutes from Pingry. 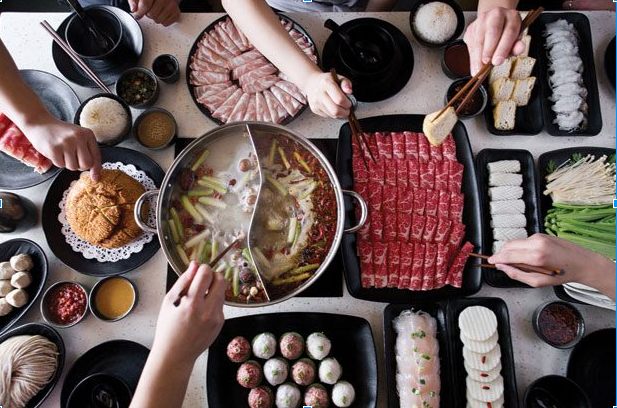 The main idea—at least at V Yan, where each individual has their own hot pot—is that you cook your own personal soup using raw ingredients. The ingredients added to the broth, which is kept boiling at the table by a flame or by electricity, usually include thinly sliced meat (my favorite is lamb), vegetables, mushrooms, tofu, and noodles. These ingredients are then spooned out of the broth and dipped in a sauce. Doesn’t sound too appetizing? Before I went to V Yan, I would have agreed with you—in fact, as a young kid trying hot pot out for the first time, I could not understand why people enjoyed it. 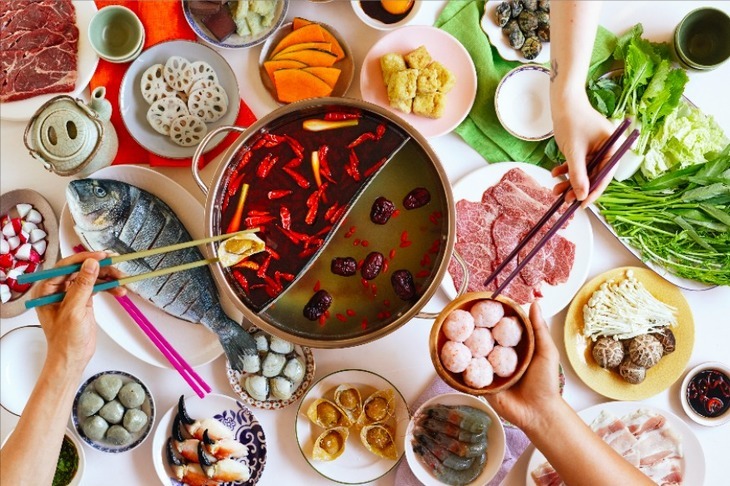 However, after trying it again in Parsippany, I realized not only that hot pot is delicious and flavorful, but also that it offers a unique and creative eating experience to all who try it. V Yan in particular offers great deals along with its fresh ingredients and exciting atmosphere. All-you-can-eat hot pot is $22, and the lunch special, which includes a set amount of ingredients, is only $12. Plus, V Yan offers a wide range of sauces to mix and has free ice cream for those who are still hungry after eating hot pot. V Yan also offers cook-your-own BBQ, an option which I have not yet tried. However, I can attest to the quality of its hot pot, and I can guess that the same guarantee applies to its BBQ. I can also attest to the authenticity of V Yan—according to my parents, who have both visited many hot pot restaurants in mainland China, V Yan offers a similar experience with ingredients that are just as good and prices that are often better than its counterparts in China. I’d recommend getting a reservation before you go—the wait can be long, especially on weekend nights. And, once more, I want to encourage hot pot novices and experts alike to go check out V Yan Hot Pot. There are few things in which I have expertise, and Korean Barbeque is one of them. 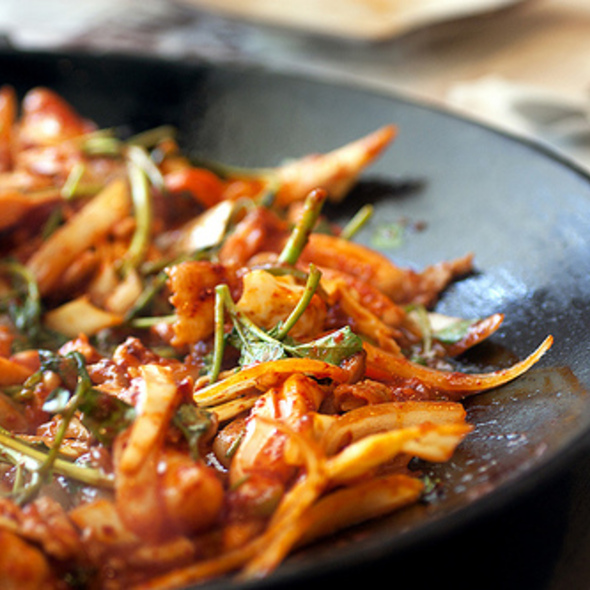 If you ever wish to experience some of the best Korean food—barbeque included—I, a Korean American well-versed in the world of Korean cuisine, highly recommend a restaurant called Chung Dam Dong. 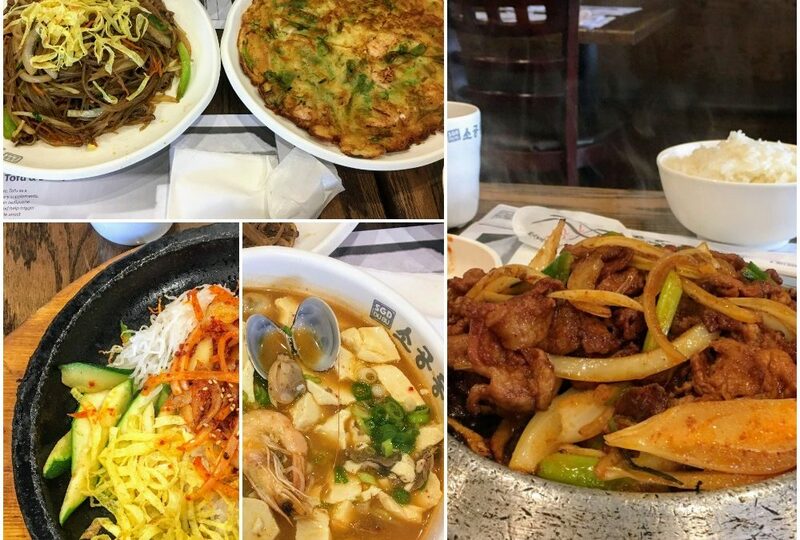 It is well worth the trip to New Jersey’s Koreatown in Palisades Park to have a taste of authentic Korean food done right. There are plenty of other great Korean Barbecue places in the Fort Lee/Palisades Park Koreatown area, but the quality of meat and the banchan (the included side dishes) are what make Chung Dam Dong stand out. Whenever eating out is an option, I always push for this restaurant. I get excited every time I see the waitress bring the circular tray of raw meats bathing in a sweet and savory marinade of sesame oil and soy sauce. The platter contains a surplus of short rib pieces, thinly sliced so they can soak up as much succulent marinade as they can and also cook faster on the grill that awaits. The waitress places the raw short rib pieces on the grill, built into the table, so you can enjoy the smell and the sounds of the choice cuts before you have the honor of tasting them. Once cooked, the waitress uses her metal tongs to hand-deliver the pieces of short rib, or “kalbi,” to your plate. Unlike some other Korean restaurants, Chung Dam Dong’s kalbi is not served with the attached bones, making the process of quickly devouring the beef right as it leaves the grill very easy. Some like to eat the kalbi by wrapping it in lettuce. I, on the other hand, think that doing so is too time consuming; therefore, I choose to enjoy my kalbi with rice and the restaurant’s homemade ssamjang, a mixture of miso paste and red chili paste. When you bite into each piece of short rib, it almost falls apart in your mouth; it’s that tender and delicate. Chung Dam Dong doesn’t serve the sad version of Korean barbeque involving tough, chewy pieces of meat where you have to maneuver your way around the remaining bones and fat. No, this restaurant provides exquisite morsels of well-marbled short rib that pack a sweet, savory, and umami-filled punch, leaving you wanting more. But it’s not just kalbi that Chung Dam Dong does right. I always look forward to the banchan, the free side dishes that provide you with a colorful array of small bites to keep you occupied when waiting for your entrée—think of banchan as a more plentiful amuse-bouche. The selection of included banchan dishes always changes. In the many times I’ve dined at Chung Dang Dong, some of the more memorable banchan plates include fried mackerel, steamed egg, fried chicken, fried tofu, porridge, kimchi, and fishcake. At Chung Dang Dong, I’ve never had to place a reservation or wait too long to be seated, as service is fast and space is ample. The wait staff are all very kind and are always willing to throw in a free bowl of rice or extra servings of a banchan dish you particularly enjoyed. Make the trip to this restaurant in Palisades Park and you will leave with a warm sense of comfort that only excellent homemade food can give you. 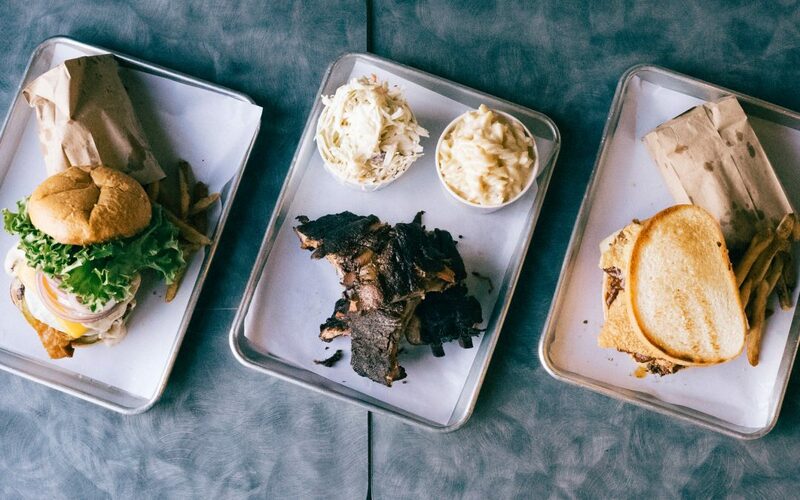 Delicious sandwiches and burgers, massive portions, and quirky décor can all be found at Burger/Que of Basking Ridge, a relatively new casual BBQ and burger spot located on King George Road, only ten minutes away from school. I had passed by Burger/Que many times on outings to Frozen Falls or O’Bagel: in the context of the plaza, the restaurant’s corner location seems to make it an afterthought. A few months after first noticing it, I suggested the spot to a few friends who were in the mood for burgers. It turned out that the little store had a lot more flavor than I had expected, both in terms of atmosphere and food. The first notable item was the décor. Even before entering the restaurant itself, we passed by a large metal pig sculpture. Inside were paintings of cows and pigs, cute signs, and a hand-chalked menu board, among other little trinkets. The restaurant itself was not large, seating at most around 30 patrons at tables for mostly three to four people. The atmosphere was both laid-back and full of character, from the alternating blue and brick walls to the metal buckets on each table used for holding sauce bottles. The food was flavorful and filling. We ordered cheese fries as a table; I ordered the brisket sandwich for myself. The cheese fries were topped with two types of cheese and served in a large portion—addicting to the three of us who were there. The brisket sandwich I ordered turned out to be two of the thickest slices of toasted bread I have seen sandwiching a good amount of fatty beef brisket, onion straws, and provolone cheese. Just half the sandwich was more than enough for one sitting. The meat and onion straws seemed to overflow from the bread—not a negative, considering the excellent flavor and texture of both. The bread itself was probably one inch thick and toasted to a crisp. My friends, who ordered the BYO (build your own) Burger and the Figaliscious chicken sandwich, seemed to enjoy their meals, too. Looking around the restaurant, I noticed other quirky and tasty-looking sandwiches, such as the waffle burger (a patty surrounded by two waffles). The only two complaints I might have for Burger/Que are that the portions are too large and the food is unhealthy. Of course, the latter is what one expects from such a burger joint, and the former “complaint” is really just a great deal, considering that most sandwiches cost $10-11 and that the restaurant provides carry-out boxes for those (like me) who cannot finish an entire sandwich. If you are looking for a break from the usual dry or monotonous meal, or if you enjoy satisfyingly flavorful sandwiches, I would highly recommend giving Burger/Que a visit. A great meal awaits.